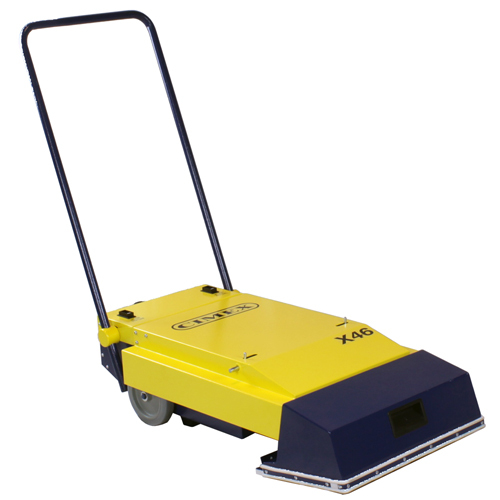 The Cimex Escalator Cleaner is now available to help clean those hard to reach areas on escalators. This machine comes offers two different brush styles: The Tynex brush for aggressive sweeping or the Nylon brush for routine maintenance. The dual powered 290 rpm twin brushes allow for a thorough clean that loosens dirt and grit between the escalator treads. After the brushes effectively scrub the escalator, the dual vacuum motors instantly remove any grimy residue. This allows for escalators to perform better in a clean and sanitary state. Escalators not only appear more clean, they run smoother; saving you money on maintenance. The quick-change disposable bag system is fast and easy, providing an eco-friendly disposal option.